The Fellowship of Fantasy is a new author site devoted to providing quality content for fans of Fantasy Fiction. The books have a rating system and need to abide by a "low PG-13" standard, making this a one stop shop for YA safe and Family Friendly fiction. 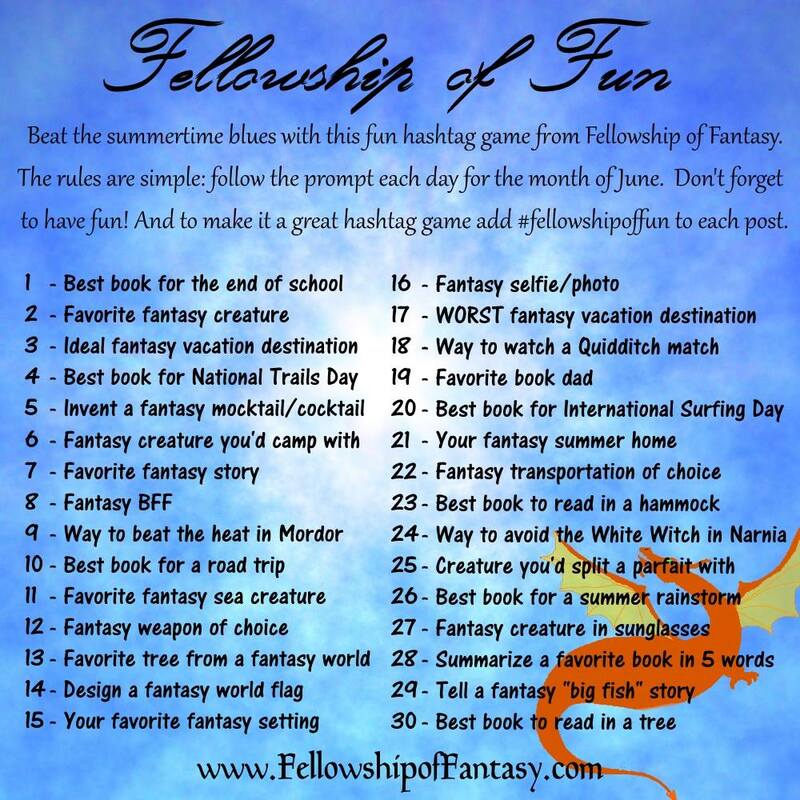 For the month of June the authors involved in the Fellowship of Fantasy are doing a #FellowshipofFun challenge. We've put together a series of prompts/challenges that you can share across social media using the hashtag #FellowshipofFun, What sort of prompts and challenges? Well we made a graphic, just for you! Sound fun? Join us on Facebook, Twitter, and Instagram to play the game!